We've all heard lots of talk about "mommy wars" and the various ways that mothers often end up competing with one another. Recently there was an excellent post at A Life Overseas about missionary mommy wars, but I recently realized that not only do we feel special pressure as missionary moms, as well as pressure from our home culture, but we also feel it from our host culture! In my efforts to "become all things to all people," I've found that the cultural requirements of Russian mothers have really impacted me. If I am not careful to listen closely to God, I can feel like there are just that many more "requirements" upon my shoulders in order to succeed at motherhood. First day of first grade and faux fancy braids. Braided pig tails are fancy, right?! 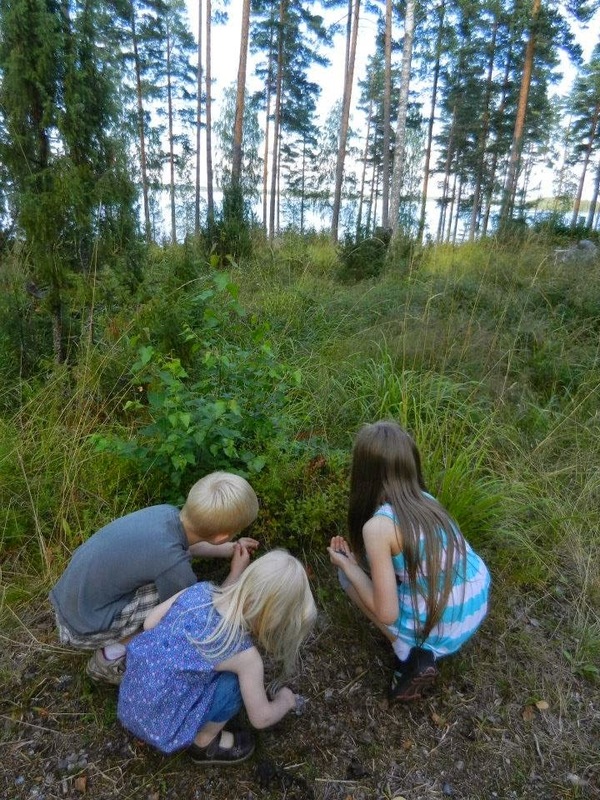 Here are our kids picking berries out in nature when we, too, went on vacation to a summer cottage...for four days. Shhh! 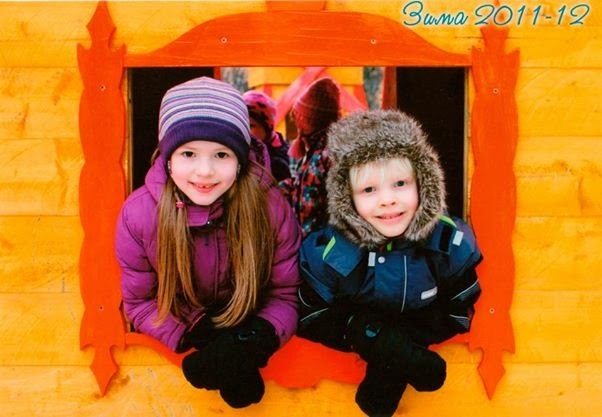 Having four kids as opposed to the traditional one or two, these standards would not only be difficult to adhere to, but pretty much impossible. I often feel initially judged by mothers when they find out that I don't do A, B, or C, like all of the "good mothers," and often find myself explaining the differences of living life with a larger family. Sometimes moms are very understanding, and other times not. I find that there is a fine balance between striving to become all things to all people for the sake of the salvation of others, and becoming all things to all people for the sake of the salvation of my own pride. Just like in all of the other mommy-wars, I need to remember to seek the Lord and His gracious requirements of me in my mothering rather than measuring myself by the requirements of my host culture or anyone else. What are the mommy-war issues in your host culture? In what ways have you been able to become all things in non-competitive ways? What areas are some areas where you have had to resist getting caught up in mommy wars? Resist? Sometimes I try to explain that raising a group of children is different from pampering one. Often I try to keep up appearances a little, if that makes any sense. I mean things like dressing them right on the outside, but letting them wear whatever they want (nothing!) under their coats. I totally understand the socializing thing. When my son turned 2, it was just automatically assumed that we would put him in nursery because we could get 16 hrs a week for free. Going to mum and toddler groups are a big thing in England, too. But it's not really my "thing..." so we don't go. This is so funny! I had major culture shock upon arriving in El Salvador and learning that in Latin America women dress up all of the time. I'm talking make-up, perfect hair, slacks or dresses, and super high heels. It's crazy watching women trying to navigate the sidewalks in towering heels, but somehow they manage it! These other moms look amazing and gorgeous just to pick their kids up from school! I've had to learn a lot more about make-up and about trying to look more presentable. No more runs to the grocery store in yoga pants because I might run into a mom from school! Birthday parties are also huge and kids are expected to dress up for those. Another issue is how much parents medicate their children. I hardly give my kids anything and other moms think I'm crazy for not taking my kids to the doctor for every cold. Now I like to think that I "blend in" a little more than when we first arrived, but I still haven't worked up the nerve to buy huge high heels! Yes, Phyllis, the dirt! So funny! My kids thought it was the best thing in the world to get to splash around in the rain and puddles in Seattle this past Spring. They never really get to do that here in Russia! Chrysti, that is so interesting that England is so into socializing! Yet another way that the US and UK differ in unexpected ways. I don't think US culture feels that early socialization is quite so vital, does it? I am glad that you feel the freedom to do what is best for your family. I just thought of this again, as I was getting our daughter ready for her music lesson. Last time her teacher told her to dress more warmly, even though she was fully within the range of what people are wearing now. We're not all the way to winter coat weather yet. And, our daughter rides her bike to music school, so she gets hot along the way. Our solution was to put her coat in her bike basket and tell her to stop and put it on right before she gets to school. I told her that we're dressing her for her teacher, not for the weather. A "good mother" would have just bundled her up... and probably have taken her to school in a taxi or something. Hospitality: The Perfect Ministry For Moms?